The China Railway Corporation has established a 7,000 mile freight link between the United Kingdom and the Middle Kingdom, a move which could “revolutionise” trade between the two countries. Speaking to CNBC, the director of the corporation’s UK-based arm claimed the new route, which is the first of its kind, will offer “huge savings” compared to air freight and take only half as long to deliver goods as existing sea routes. 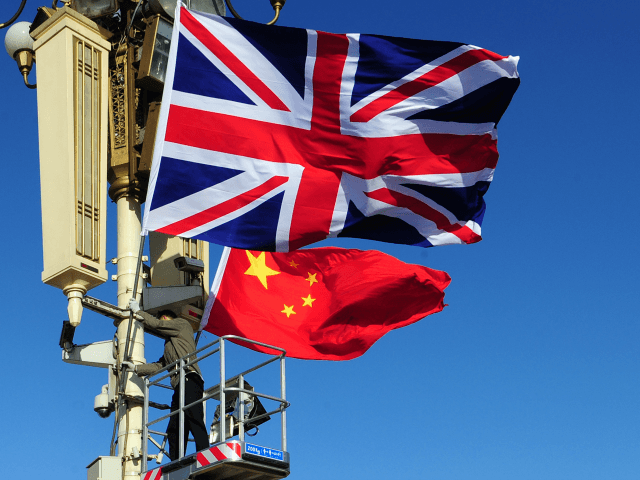 The UK has already enjoyed a number of positive trade developments with respect to China since the Brexit vote last June, with Sheffield securing a sixty-year, billion-pound deal with construction group Sichuan Guodong in July. The deal is expected to prove a “game-changer” for the steel city, creating “hundreds if not thousands of jobs”. Xiaoming’s comments may be seen as supporting the idea of a Free Trade Agreement between the UK and China following Brexit – provided the country extricates itself from the European Union’s customs union and Common Commercial Policy, which prevent members of the bloc from striking their own trade deals. The new Department for International Trade has already established a trade working group with Australia and a trade policy dialogue with New Zealand. The Prime Minister of India has indicated that a working group is in the offing between the UK and the south Asian republic as well, suggesting that Brexit Britain will have much stronger commercial ties with its old partners in the Commonwealth of Nations than previously. Beyond the Commonwealth, it is widely expected that the incoming Trump administration will move the UK from the back of the queue for a trade deal to the front, while the Brazilian government is keen to press for a trade agreement between the UK and South American trade bloc Mercosur. Trade secretary Liam Fox claims his department has already secured £16 billion of foreign investment since the EU referendum in anticipation of Brexit, but the Leave campaigner’s ambitions to forge various global deals could be stymied by Remainers such as Phillip Hammond, the Chancellor of the Exchequer. Hammond, supported by central bank governor Mark Carney, has called for a “transition deal” between the UK and the EU following Brexit. Such a deal could involve staying in the customs union as well as remaining subject to the open borders free movement regime, leaving trade policy in the hands of Brussels officials.